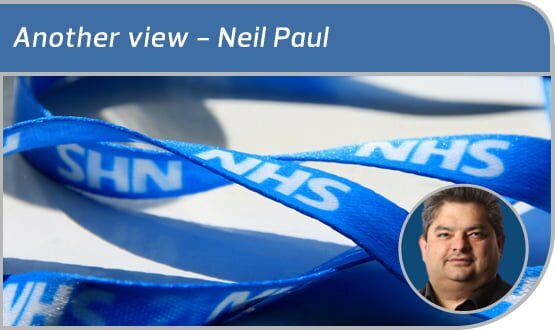 The current penchant for GP networks is in many ways understandable, says our GP columnist Neil Paul. But is the IT keeping up? No. Networks is the new buzzword in primary care. Everyone wants GPs to work in them. It wasn’t that long ago I was hearing GPs should be salaried and employed by foundation trusts. But the powers that be appear to have given up on directly calling for this – perhaps because they realised it would cause resistance, or perhaps because in a lot of the cases where it’s been tried it’s not worked. As a compromise the prevailing opinion appears to be: “Let’s GO LARGE!” And in most instances that has involved a push to GP federations. Some were initially set up with the hope of profit. Any Qualified Provider (AQP) contracts were being tendered, and some entrepreneurial groups of GPs went for these. But in most areas they didn’t ultimately happen – CCGs being too tied to the incumbent provider, and it all unpleasantly smacking of privatisation. Some GP federations were set up to represent primary care. It was acknowledged there were lots of pots of money floating around and other providers had whole teams geared up to writing bids. Primary care wanted its share. By combining forces and putting some money in a shared kitty, it would enable a team to try and win this cash. Locally we have been very successful on this front. Some federations are nothing more than a buying club in their outlook. Some came to understand the direction of travel was primary care on a bigger scale. CCGs and others don’t want to deal with large numbers of separate practices that often can’t agree on anything when they could deal with one organisation, or a couple at most. So some federations started looking at representing their practices. And representing in turn meant finding some ways in which to standardise and harmonise care delivery. Some federations were set up to help the weak survive – or, officially speaking, to help with resilience and sustainability. They took different approaches to this aim. Some merged practices. Some took the line that improving back office was the key – opting for shared bank accounts, payroll, accountants and so on – while others said the real problem was a lack of GPs, and so focused on workforce solutions. Most of these alliances have tried to be geographically all encompassing, going inclusive not exclusive. That said, some have gone the other way, creating groups that haven’t made sense geographically but which unite the likeminded. In short, it’s a really mixed picture with a myriad of primary care groupings. Most are bigger than single practices, which was the original aim, but most work in very different ways. Generally they’re not really part of the NHS family, not easily describable and have various types of governance – something I suspect worries people. CCGs and STPs are changing; place-based accountable care is coming. That means it makes sense to say we want groupings of practices in geographically sensible locations. The aim for groups of practices to cover a population of 30,000 to 50,000 – set out in NHS England’s planning guidance – also likely makes sense. It’s the size of most small towns, and would probably require two to five practices to get on and work closer together. I think the wish might be for such practices to merge. But this is difficult. Some will hate each other – perhaps that might even be the reason they are separate. Some will be in different buildings. And while doing clever things with closing sites might make sense, if some of the partners own the property or have mortgages then it’s going to make for some tricky debates and decisions. So, the reasoning goes, instead of merging let’s make them work closer together. How to do this? Well, let’s do what we usually do – let’s bribe them up front and subtly make it harder for them to do anything else. Let’s give them a new contract that rewards them for working together and punishes them if they don’t make it work. A QOF [quality and outcomes framework] indicator based on an area rather than a practice has been rumoured, for example. So how does all this relate to IT? Well, quite simply, it’s not keeping up in the era of networks and federations. Locally we have a project with Lexacom to get all practices onto their cloud platform. This then allows a central pool of people to type letters for a practice. You can use their transcription service or build your own, or you can use spare internal capacity. It’s a great idea. However, what it won’t currently do is the e-referral and attach the letter because this is in our clinical system. Here we get into a nightmare of data sharing agreements and log ons. There is no way of logging into more than one GP system at once. Locally we use EMIS and even its remote consultation feature – which we use successfully for extended hours – wouldn’t help here. This problem is coming up surprisingly often. We have a research team that works across practices. Its members would like to sit in one room and see patient records from the five practices they are from. Currently they have to have EMIS switcher open and constantly switch between different practices’ systems. If a merging practice elects to merge its database into one, then things are easier. But many are doing a ‘half’ merger; keeping a separate GMS contract and separate database for each site, but having shared staff. Speaking to a practice manager in the Lake District where eight practices are doing this, I’ve discovered that each member of staff is going to have to have eight logons. In our locality, we have jointly employed some IT support staff. They need seven separate logons. Audit’s tricky too. None of the existing tools appear flexible enough to accommodate working at scale. Everything is practice obsessed. As locality lead, assuming I have permission to do so – and I do worry we will drown in millions of data sharing agreements – I need to be able to look at activity, capacity, demand and performance across multiple practices. I want to be able to zoom in and out and cut the data in numerous ways. I also want to be able to compare myself to my peers and to other similar groups. There is of course a risk to giving wide access to thousands of notes to anyone. In a small team it’s perhaps easy to know who is accessing what. In a large community with hundreds of staff it would be less simple. So while we need to make it easy to open up records, we perhaps need to think about how we control them. Personally, I favour letting the patient know when their record has been accessed and by whom, via SMS or via any of the apps on the market. I also think it should be easy to list whose records any individual has accessed. And there should be easy ways of restricting whose notes certain users can get into. The rise of primary care networks is understandable and inevitable. But if it doesn’t come with a consideration of IT and information sharing, then – like so many things in the NHS – it runs the risk of causing as many problems as it solves. This trend of sharing transcription resources and outsourcing the typing of patient letters is all a bit old fashioned don’t you think. Outsourcing the typong also goes against IG guidelines, you never know where it’s being sent to or who is accessing the patient data, even with the most stringent data sharing agreements. We use speech recognition to dictate our consultations and also our referral letters. We are not reliant on secretaries having to decipher what we said and do the typing which saves us time and money (and errors). If I don’t have time to do the whole referral myself then I can dictate the words into a task and ping it over to my admin team to top and tail it. CCGs and STPs should look at embracing GPs with the tools to cut down the reliance on admin. For us speech recognition (a good one) has certainly helped us cut down on our admin requirements. If you don’t have to pay for the service, then you’re the product! That is very certainly a belief shared by the Government, the NHS and Facebook (et al.) I do not share their belief or accept their sense of entitlement, nor does the GDPR. Besides, the tax payer does pay for the service. How many tax payers have knowingly voted for government based on surveillance capitalism? I don’t recall this ideology being trumpeted in any of the Conservative election manifestos, but then duplicity and obfuscation are always their preferred methodology. From the patient’s viewpoint this development is an absolute nightmare. I want to have access to one GP. I have to put up with being treated as a patient of an entire Practice where everyone thinks, incorrectly, that I am their business. There is no way on earth that I am going to accept being treated as a patient of an entire GP Network, or have anyone outside the practice accessing my GP records. If this is now going to be the condition of receiving healthcare that excludes me completely. 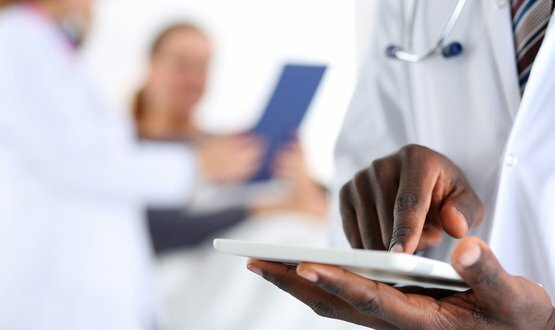 Either there must be a genuine and comprehensive patient opt-out from the network, or there will be an automatic enforced opt-out from NHS healthcare, and unless the patient is wealthy and can afford private healthcare,an enforced opt-out from all healthcare. The 5G-enabled system will provide live footage of patients being transported to hospital, enabling clinicians to make life-saving decisions about care.